now>press>play’s 12 Facts of Christmas! On 18 Dec, 2015 By Tilly With Comments Off on now>press>play’s 12 Facts of Christmas! 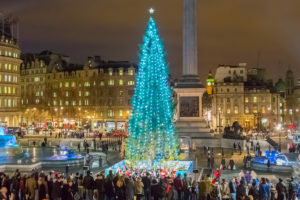 The Christmas tree in Trafalgar Square London is given each year by the capital city of Norway, Oslo. The Christmas tree displayed in Trafalgar Square every year is a gift from Oslo, Norway. The tree, which is normally displayed from the beginning of December until 6th January is a token of gratitude from the Norwegian capital for Britain’s help in the Second World War. Most of Santa’s reindeer have male-sounding names, such as Blitzen, Comet, and Cupid. However, male reindeers shed their antlers around Christmas time, so the reindeer pulling Santa’s sleigh are likely not male, but female or castrati. Christians make up a very small amount of the population in Pakistan (about 5million Christians in the country whose population is 162million!) but December 25th is still a public holiday. However, the holiday is in memory of Jinna, the founder of Pakistan rather than celebrating the birth of Christ. The last widespread White Christmas in the UK was in 2010. It was extremely unusual, as not only was there snow on the ground at 83% of stations – the highest amount ever recorded – but snow or sleet also fell at 19% of stations. The Armenian Apostolic Church celebrates Christmas on January 6 They also celebrate the Epiphany on the same date, the time where Churches remember the visit of the Wise Men to Jesus and the revelation that Jesus was the son of God. According to the Guinness world records, the tallest Christmas tree ever cut was 221-foot and was displayed in 1950 at the Northgate Shopping Center in Seattle, Washington. In the UK, children often leave a mince pie and a glass of milk (or something stronger!) for Santa on Christmas Eve. However, in The Netherlands, children leave a shoe by the fireplace for their version of St Nicholas, which they call Sinterklaas. They hope that Sinterklaas will come during the night and bring them presents. They don’t do this at the same time as the UK though, in The Netherlands they celebrate Christmas on December 5th. In 1901 President Teddy Roosevelt banned Christmas trees in the White House because he was an environmentalist. 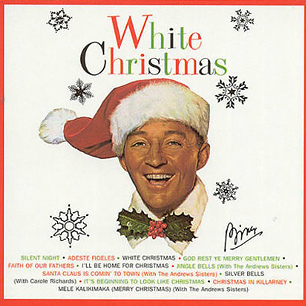 White Christmas” by Irving Berlin is estimated to be the best-selling single of all time. So there you have it! If you know of any more Christmas traditions from around the globe we would love to hear from you! But for now, may we take this opportunity to wish you all a Merry Christmas and a Happy New Year. “Merry Christmas to all, and to all a good-night!”.